This is the third year (2017) of restoration for the Lantz Cemetery near Brave, PA. It is hard work and funding is needed. 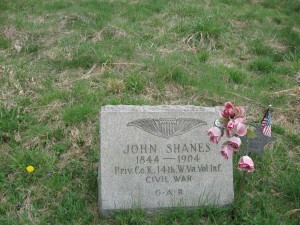 John Shanes was my g-g-grandfather. His father, and grandfather are also buried there. It is a large cemetery with many graves. Contact the email address with questions or comments. Thanks.